But this is worlds away from the school playground. August will see 10 days of the highest level sport at the Netball World Cup. Forget what you think you know about netball, because the odds are the Netball World Cup will bear no resemblance. Netball is one of the big sporting success stories of recent years, and netball at this level is fast, furious, skilful and, above all, exciting. At least some of the credit to its popularity must go to Sky Sports; they took a chance on it in 2006 and signed a contract to broadcast the domestic Superleague. Since then grassroots participation in England, league and international netball have gone from strength to strength with approximately 156,000 people playing netball for at least half an hour a week, according to 2014 figures. The World Cup takes place from 7-16 August in Australia at the Sydney Olympic Park. This is the 14th World Cup and will be the biggest yet, with 16 teams taking part: England, Wales, Scotland, Australia, New Zealand, Jamaica, Malawi, South Africa, Fiji, Samoa, Trinidad and Tobago, Barbados, Singapore, Sri Lanka, Uganda and Zambia. Of three home nations – England, Scotland and Wales – taking part, England has the best chance of getting to the final stages. The new England Head Coach is former England player Tracey Neville, who won 81 England caps before a knee injury ended her career early. This will be her biggest test yet, although England will be on a high after a storming 3-0 series win over Trinidad and Tobago in May, followed by taking the title at the Netball Europe tournament in Northern Ireland, beating all of the home nations along the way. Welsh Netball has suffered a degree of turmoil recently. Sara Jones took over as chief executive at the beginning of June – its third CEO in just over 12 months. Hopefully this won’t affect Wales’ performance on the court. Netball is very much on the up in Scotland; Netball Scotland has just welcomed the news that Sport Scotland is to invest a record three million pounds for the long-term development of the sport. They will be looking to put in a good performance to show that the investment is justified. 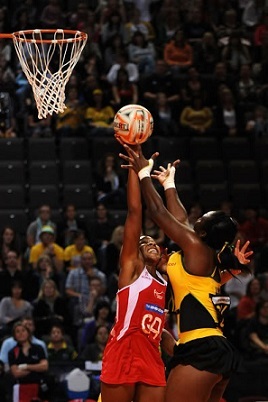 It is hard to see past reigning champions Australia and their antipodean neighbours New Zealand for the final, but you can be sure that England, led by the 100-times capped Pamela Cookey, and Jamaica will push them hard, with Malawi as a potentially good bet for an upset. All of the key matches are live on Sky, including the semi-finals and the final, so tune in see these incredible athletes in action.